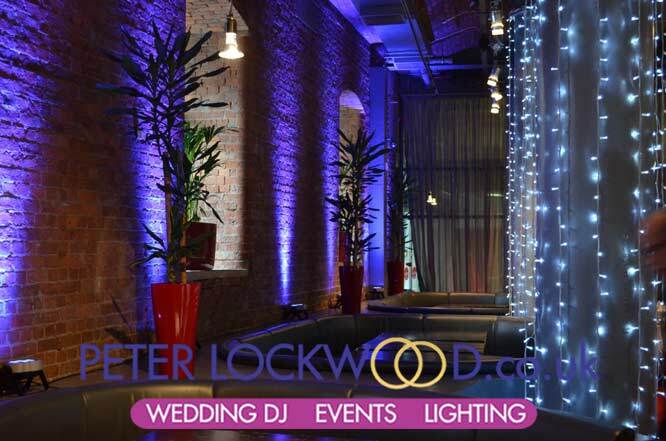 I specialize in providing mood Lighting for grand old venues like Town Hall’s, Classic Hotels and Barns all of which can be brought alive with led up lighters and fairy lights.. 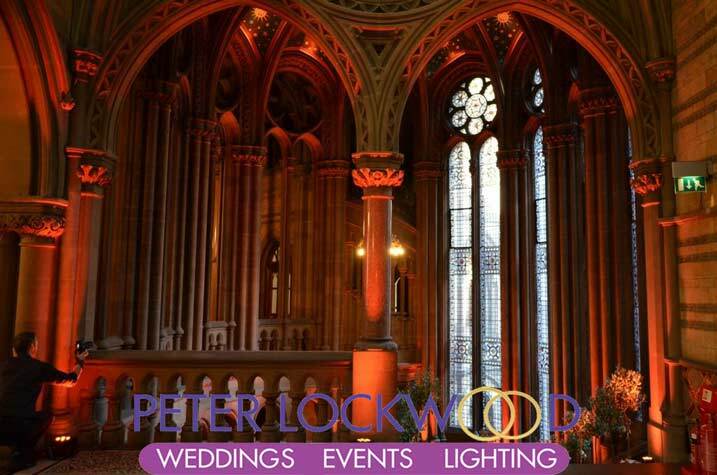 The two pictures below show the Great Hall at Manchester Town Hall, with pink uplighting and hearts projection. and orange wedding lighting on the grand staircase. The two pictures above at the Place hotel Manchester, show my 3-in-1 slim par cans. 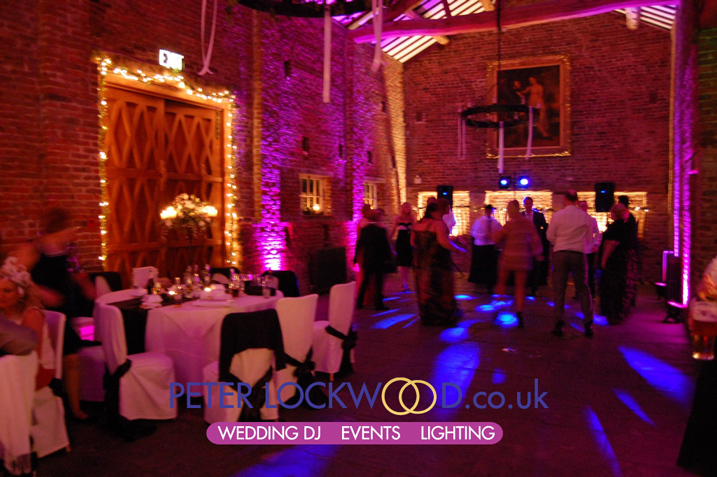 They use little power (around 30w per light) making them perfect for marques.The Two pictures below show Cerise lighting at Tatton Park and Pink lighting in Meols Hall Tithe Barn Southport. 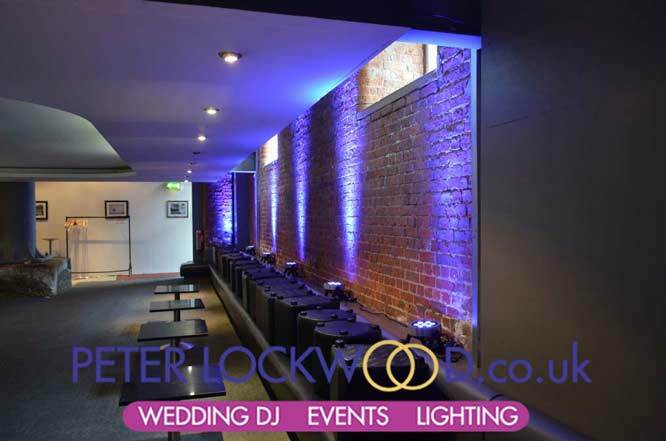 The right lighting equipment is very important, I am not a one trick pony I have a selection of 5 different types of led lights providing me with the best selection of up-lighting units in the area. I carry a stock of flicker free (Suitable for TV Studio) Convection cooling, 100% silent Up Lights they use RGBWA 5-in-1 LED multi-chips this allows me to provide a lovely gold or warm white shades. What does all this mean? 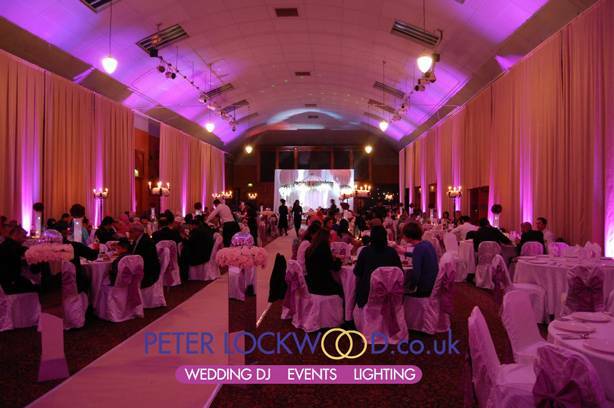 to some people that are only going on price not a lot (all uplights are the same), if you want the job doing right and your venue looking vibrant with your choice of colours a lot.